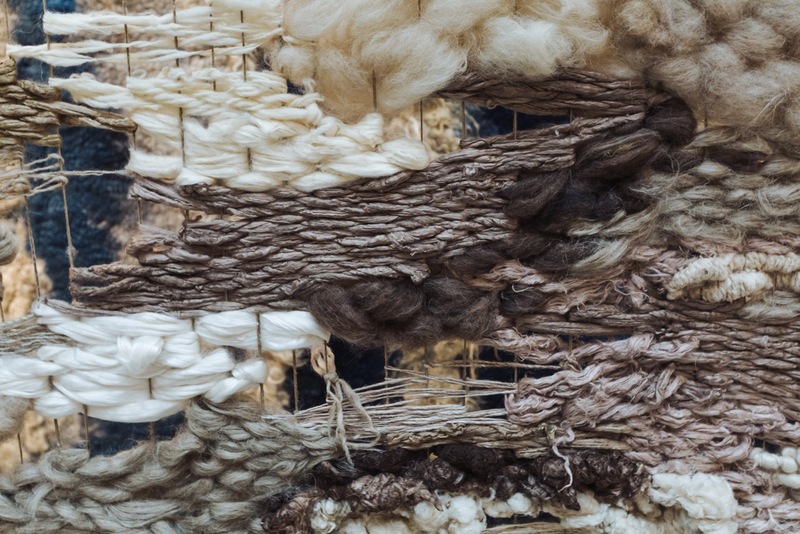 Claudy Jongstra creates a completely authentic universe with flax, felt, sheep’s wool and plant colourants. Her exhibition Ancient Light in the Frisian Museum in Leeuwarden is on view from the end of March. The navigation system’s screen shows a straight, white line on a black plane: the Afsluitdijk, with water on both sides. We are on our way to Friesland. 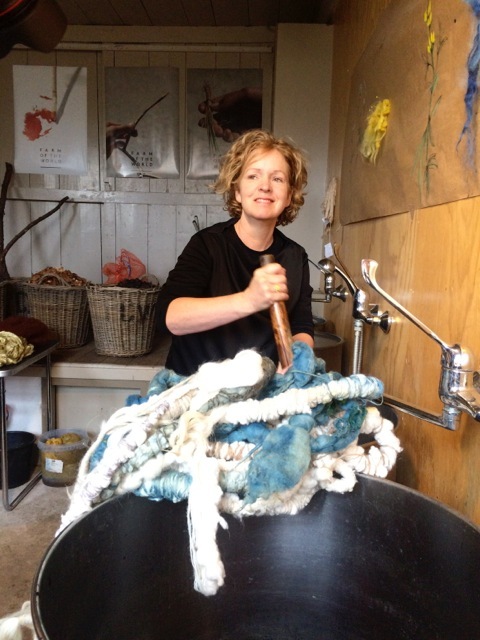 Claudy Jongstra (1963) lives and works in a small village, about fifteen kilometers from Leeuwarden. 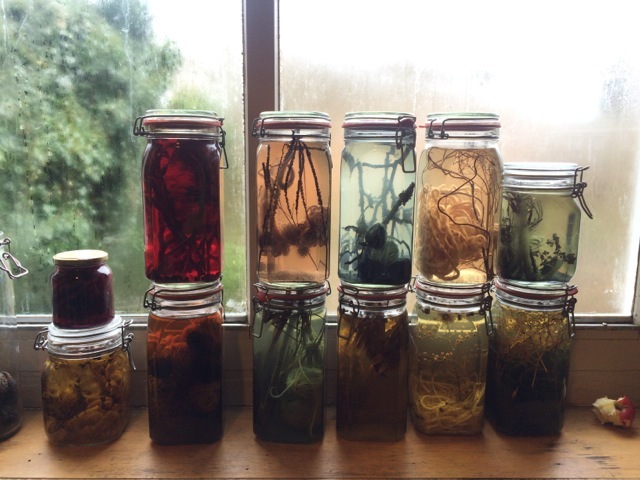 She herds sheep there in the polder and grows chamomile and dahlias in her biodynamic garden. 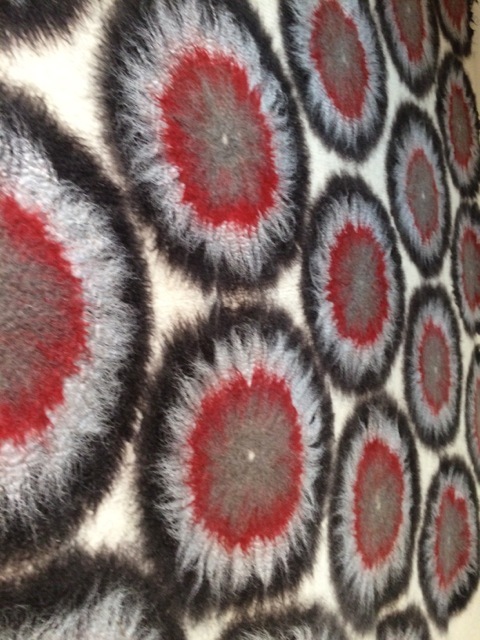 With the wool from her sheep and the colourants from her plants she creates a universe in pale and profound colours. 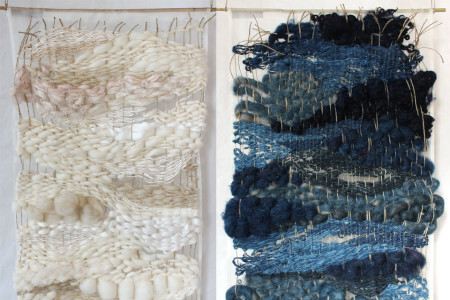 Her work awakens a desire: you want to touch it and keep it with you – even if it’s not more than a piece of felt or thread to put in your pocket. When Jongstra talks about her motivations, seated at the wooden kitchen table, it turns out that the word ‘transition’ is at the core of her work and world view. She believes in a new world and ‘in the inevitable connection to beauty and nature to become whole as a person’. That’s why nowadays she works with teenagers. She makes art with them once a week, works the land, kooks and builds fires: ‘The force of creation, connectedness to nature, physical exercise and healthy food help us build a vital society. 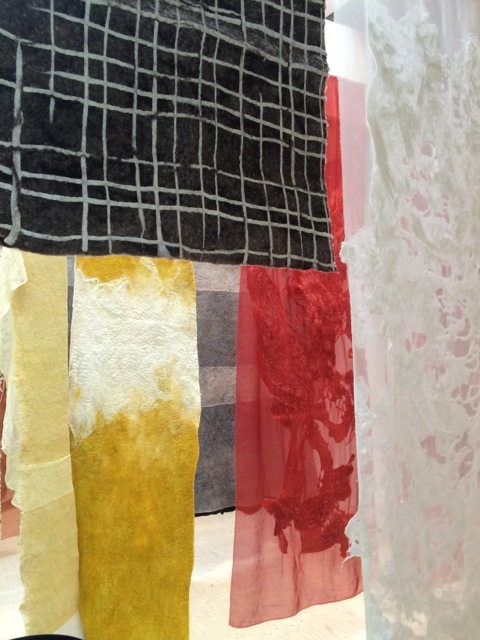 Claudy Jongstra’s world view doesn’t leave room for cynicism. How she does it? ‘I am energized by a new generation that is open and awake,’ so she says. ‘And I feel like I’m elevated by some people who believe in my work.’ She worked on the costumes of the Jeddahs in Star Wars, was commissioned by Mitch Kapor (developer of Lotus 1-2-3) to make a tapestry in Kapor Center for Social Impact in Oakland and worked on a tapestry called Earth, for the San Francisco Museum of Modern Art that will be on display from May onwards. The four galleries of the Frisian Museum in Leeuwarden are soberly furnished. The first gallery shows a retrospective, the second and third show the process of creation and the fourth provides a space for Metaphoric Indigo (2016). 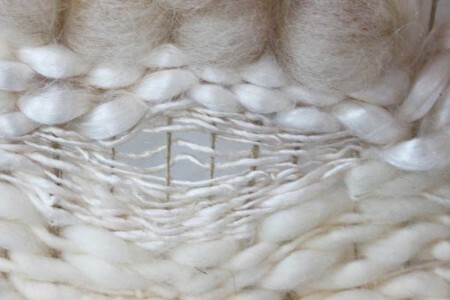 It’s a monumental circle in which strings of white and indigo blue sheep’s wool hang. In the center of the circle you experience the strength of a soft, natural material and you become aware of the aloofness of the gallery and the brick, sharp-edged architecture that surrounds us on a daily basis. Ancient Light, Frisian Museum Leeuwarden, 26 March 2016 until 8 January 2017. Earth, from the end of May 2016 permanently in the collection of SFMoMa, San Francisco. Together with Claudia Busson and Gitta Luiten, Claudy Jongstra took the initiative to start the Farm of the World Foundation. The foundation organizes an innovative learning project for underprivileged youth at the farm De Kreake in Húns (Friesland). There, they work together with artists, designers and students and produce biodynamic bouquets and food from home-grown flowers and vegetables, ceramics of local clay and natural resources for art works. By becoming a friend of Farm of the World, you help to provide a better future for these youngsters. Your contribution is more than welcome on NL65TRIO0198013892 in name of Farm of the World Foundation.